Introducing Aleratec’s new Outlet Store, where high-quality, Certified Factory Refurbished products are available at great prices. Inventory shifts frequently so, be sure to check back often. What are certified factory refurbished products? 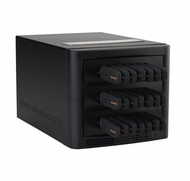 The HDD Cruiser is a stand alone unit and no computer is required for operation so there is no need to tie up a computer for hours running complex software to duplicate or sanitize hard disk drives. 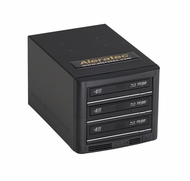 The Aleratec USB Flash and Memory card Duplicators are new and unique offering the capabilities of duplicating multiple usb flash drives and/or memory cards simultaneously. 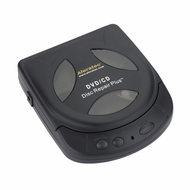 Copy Cruiser Blu incorporates the latest, high speed Blue-ray/DVD/CD recording technology for high speed duplicating and can also function as an external Blu-ray/DVD/CD Recorder. 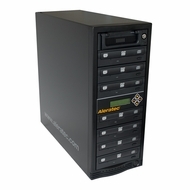 DVD Duplicators & CD Duplication systems for business & home use. 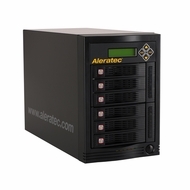 Whether you are looking to duplicate an individual DVD or CD or a fully automated system to handle 100 copies at once, Aleratec has the solution. Identity theft and fraud are our nation’s fastest growing crimes. Last year ID theft cases increased by 22% amounting to 9.9 million, but the cost per case decreased by an impressive 31%, according to Javelin Strategy and Research. Aleratec is doing its part in this fight.